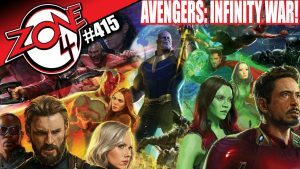 Zone 4 #415: Avengers: Infinity War! The crew returns to discuss the latest Marvel film Avengers: Infinity War! We also say goodbye to one of our co-hosts, Gordon, as he moves on from the show and we prepare for our next chapter.